Inang Itinatakwil Ng Sariling Anak Humingi ng Tulong Kay Raffy Tulfo! 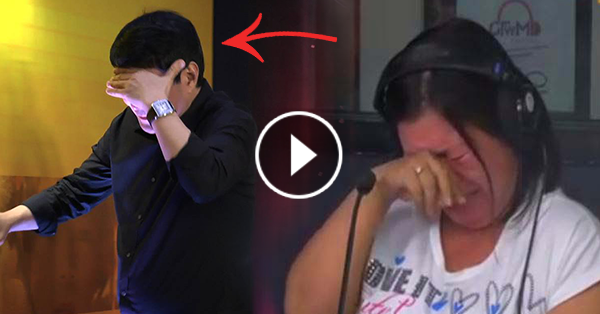 A woman who was sobbing nonstop came onto Raffy Tulfo‘s radio show, Raffy Tulfo in Action. She told her story and it was definitely heartbreaking. Apparently, Mrs. Edna Dingal was an Overseas Filipino Worker (OFW) who was held abroad because of a case. From 2006 to 2014, she fought her way just to get back home to her child. 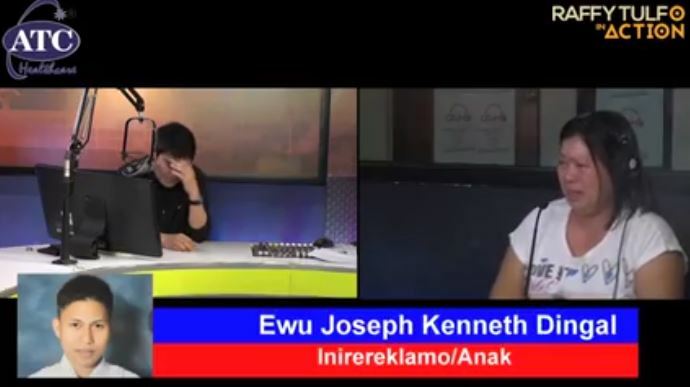 She said that she had been trying to tell this to her son, but the boy, Ewu Joseph Kenneth Dingal, opted to just dish out on her. She said that back when she was working abroad as an OFW, the only person on her mind was her child and that she made sure that she could give him everything he needed at her own expense. Even when she had a case and was not allowed to work, she did everything that she could to provide. Mother’s day, playing computer all day without even telling her. All of this eventually turned into a falling out between the two as Joseph left the house and went to his live-in partner Daisy. To make it all worse, she’s not the only one with a problem with Joseph as there are people in their baranggay who want to report him to the officials for some undisclosed reason. Mrs. Edna said that she didn’t want her son to have a criminal record so she begged them not to report him. The lonely mother said that even with all that happened, she loves the boy and would love nothing more than to get him back to her side. She said that what she wants the most is for her son to forgive her before she leaves this Earth. 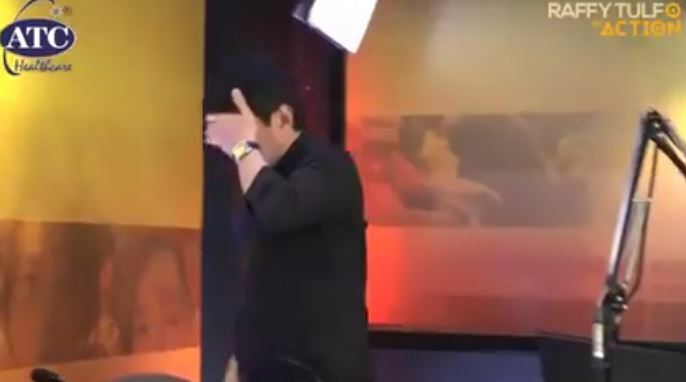 Overtaken by the emotions, Mr. Raffy Tulfo couldn’t handle himself and had to walk out of the anchor’s booth to calm himself down. 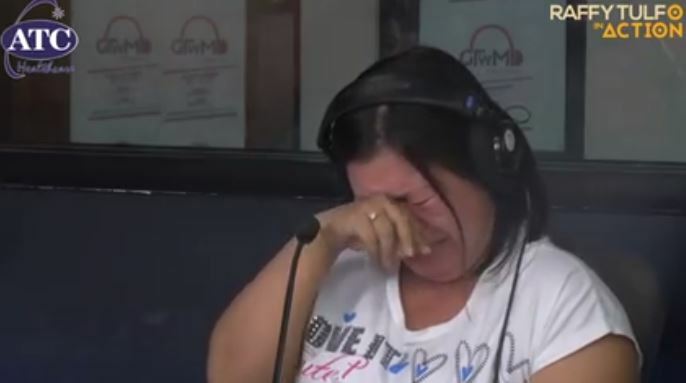 Finally, Raffy Tulfo went back and promised to help out the crying mother and said that from now on, he’ll be the son to her. What can you say about this heartbreaking OFW story? What would you do if you were the mother in this story? Tell us in the comments below and don’t forget to share this story with your friends!